With that in mind, let’s talk mailboxes for a moment. NOTE: Before you get too deep into this conversation, check with your postal carrier or local post office to be sure of any regulations that might need to be respected, along with any Home Owners Associations that you might be a member of. 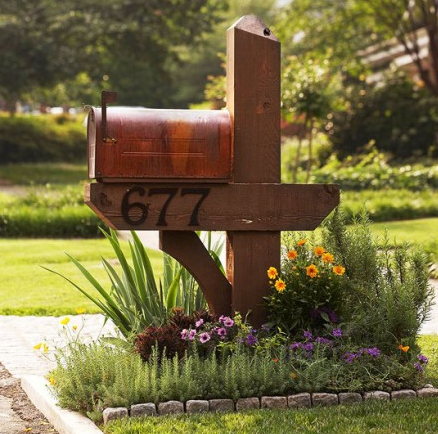 You’d hate to spent energy and money upgrading your mailbox only to have to take it down. 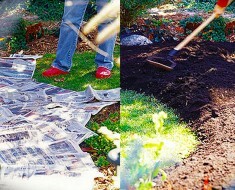 Ok – with that having been said, let’s take a look at some cool ways to beautify your curb! 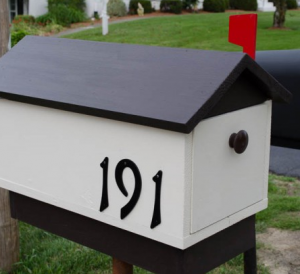 #1) Mailbox Makeover using Paint and Vinyl: Super cute – with new “flag” and handle. 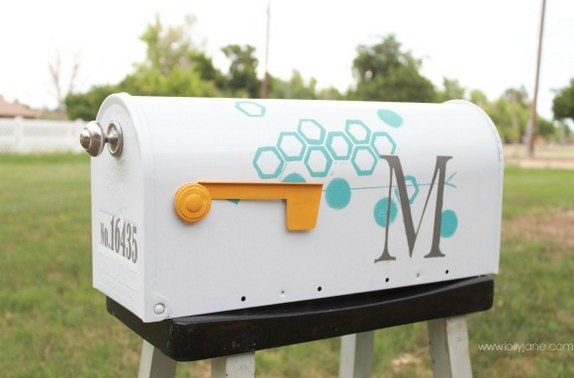 WOW – this old mailbox never looked so good! 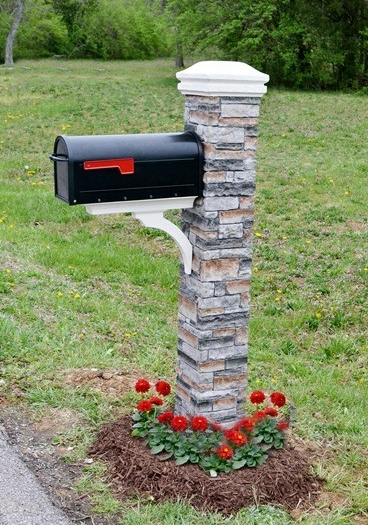 Click here to see how this mailbox was given a new life! #2) DIY Ombre Your Mailbox: You should see the before and after for this mailbox. Trust me, it will inspire you! 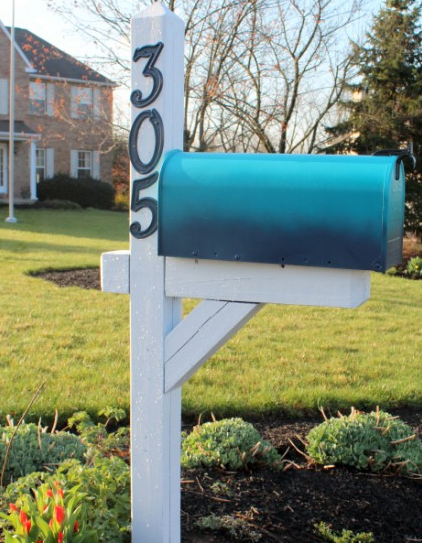 Click here to see the before and after and to learn how to Ombre your mailbox, too! #3) DIY Copper Mailbox: Who knew you could paint a mailbox to look like copper. Cool! 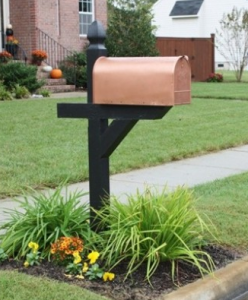 And what a money saver…copper mailboxes are expensive! Click here to learn more. 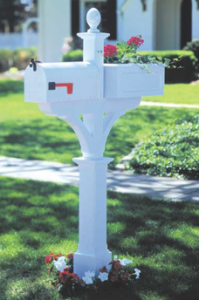 #4) Plant a Garden Mailbox: What a wonderful way to beautify your mailbox…build a garden around it! 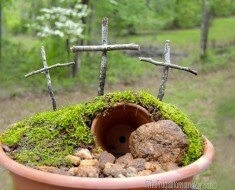 Click here to learn more about this garden idea. #5) Build Your Own Mailbox: Don’t be intimidated – with these helpful tips, you too can build your own mailbox. Click here to learn more. 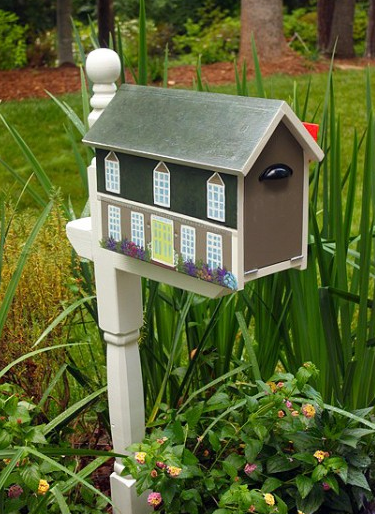 #6) Painted House Mailbox: This is stunning! And yes, it was post office approved. 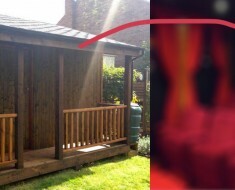 Click here to see her before and after and to learn how to build this for yourself! 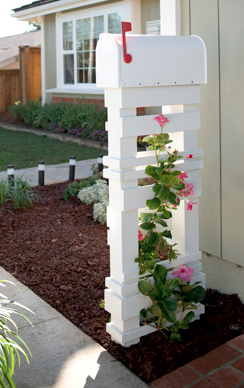 #7) Trellis Mailbox and Post: This is lovely and the trellis effect is a beautiful way to decorate your home’s entrance. 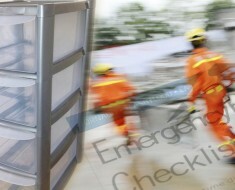 Click here to learn more about this Lowe’s project. 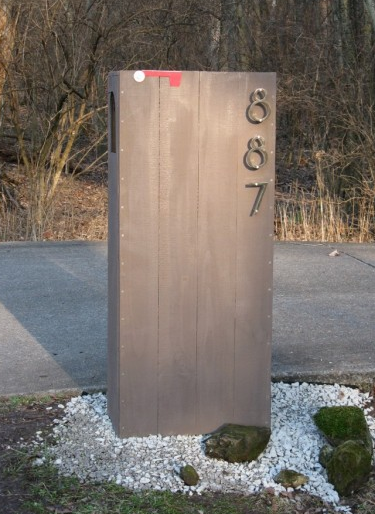 #8) Stone Pillar Mailbox Makeover: Wait until you see the mailbox these new homeowners inherited from the previous owners. WOW – it was in bad shape. But with a little love and some creativity, they turned their mailbox into THIS! Click here to learn more. 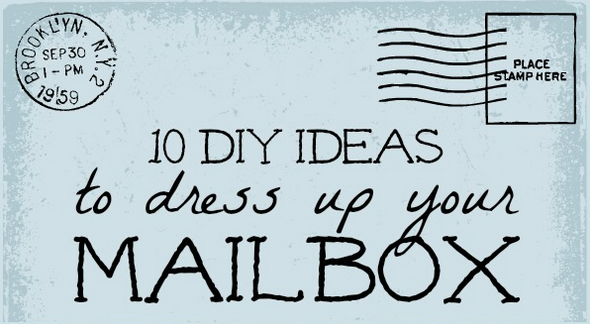 #9) Modern Mailbox: So, maybe a more modern look is for you. 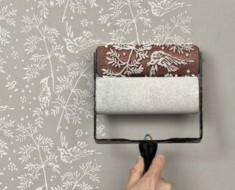 If that’s the case, click here, and learn how to create this beauty for your home! #10) Mailbox Post & Planter: For free plans on how to build this post and planter mailbox, click here. 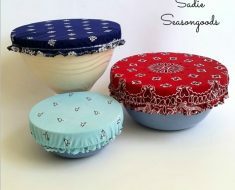 For another great home decor idea, click here! Ordinary Shed Hides Something AMAZING. A Movie Theater!